If you’ve seen Lady Gaga’s “Born This Way” music video, with it’s psychedelic-looking zooms, flashes, and interweaving forms and patterns, or the abstract montage images in Terence Malick’s recent film “Tree of Life”, you might be surprised to learn that a Miami Valley artist helped pioneer this iconic visual style as an experimental filmmaker in New York in the 1960’s. 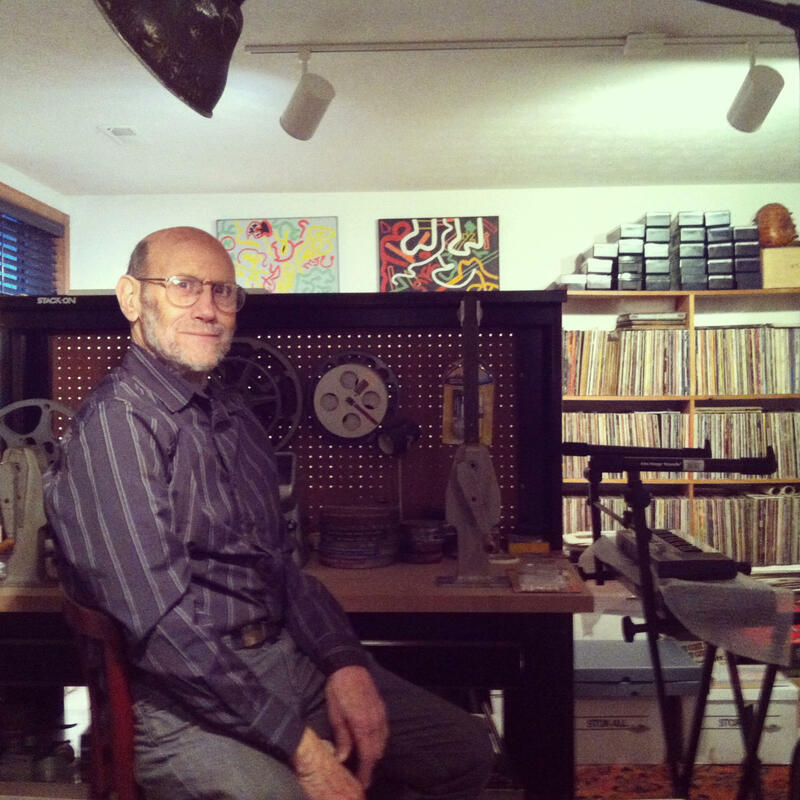 Jud Yalkut’s nearly 50-year artistic career includes exhibitions at the Whitney Museum of American Art in New York and the Centre Pompidou in Paris. In February, the University of Dayton honors Yalkut’s global and local contribution to the arts with a retrospective exhibit that includes film, video, collage, and multi-media installation. WYSO’s Community Voices Producer Susan Byrnes spotlights Yalkut and his artistic inspirations. I recently visited with artist Jud Yalkut to talk about his upcoming exhibition, “Visions and Sur-realities” at the University of Dayton, and the experience was quite a trip. A quick YouTube search results in some of Yalkut’s best-known works, with visual effects like glowing, neon-bright scenes and patterns; wavy television lines; overlapping image montages; and lightning fast in and out zooms, with soundtracks ranging from the Beatles in psychedelic mode to the Byrds to Moonlight Serenede. His films and other works aren’t intended to tell a story; they are meant to overload your senses and expand your mind. Yalkut’s experimental films and videos, some made in collaboration with artworld superstars Nam Jun Paik, Yayoi Kusama, and Trisha Brown, have been exhibited in museums and galleries around the world. Yalkut’s known for his explorations into emerging electronic technologies, from film to video to holography, but for him, it isn’t about a love of the technology itself. New York’s vibrant art scene inspired multi-disciplinary collaborations with artists, choreographers, and composers that would determine the course of his artistic career from that point forward. Yalkut’s work connects electronic technology with art history, contemporary society, and personal expression. The Jud Yalkut retrospective at the University of Dayton opens on Thursday, January 31st from 5 to 7pm, with an artist talk in Gallery 249. A film screening and symposium will be held at ArtStreet on Friday and Saturday, February 22nd and 23rd, with a panel discussion on Saturday. For more information about the exhibition and accompanying programs, go to arts.udayton.edu.